New role will focus on productivity, creativity and wellbeing in the workplace. Cass is delighted to announce that Julia Hobsbawm OBE will continue her tenure as a member of faculty, but in a brand new role as Honorary Visiting Professor of Workplace Social Health. 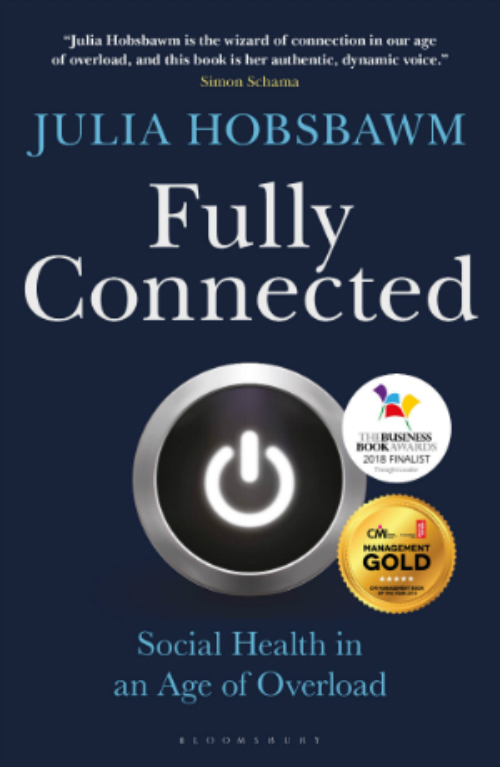 Julia Hobsbawm has become an influential thought leader in the field of modern connectedness and how we make sense of a complex and challenging landscape. Julia Hobsbawm originally joined Cass in 2011 as Honorary Visiting Professor in Networking, and during this period contributed significantly to the updating the understanding and perception of contemporary networking and the role of networks in society. Her new role will focus on the area of productivity, creativity and wellbeing in the workplace in the ‘always on’ era, in the field of Social Health she has defined through her book Fully Connected: Social Health in an Age of Overload, which was the THES Book of the Week and which was shortlisted for both CMI Management Book of the Year and Business Book of the Year.